Metanephric adenoma is a benign renal neoplasm that tends to occur in young and middle-aged patients with a strong female predominance. 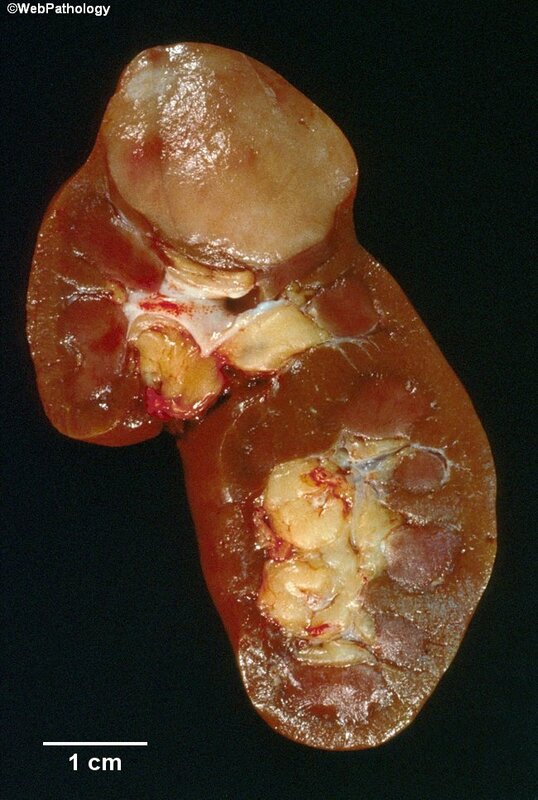 Grossly, they are well-circumscribed, yellow-white or tan colored and stand out in sharp contrast to the surrounding renal parenchyma. This 3.0 cm tumor in the upper pole of the kidney was detected on the CT scan of abdomen during work-up for microscopic hematuria in a 50 y/o female. The tumor bulges out of the upper pole but there was no capsular invasion.